Thompson Equipment Company provides field maintenance, repair, calibration services, process control systems development, and instrument inspection services. 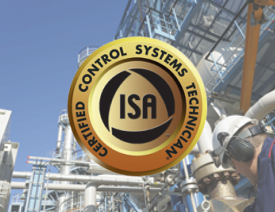 Our ISA Certified Control Systems Technicians are accomplished professionals with experience in control system development, technical support and field service. Complete "as found" and "as-left" NIST Traceable Calibration Reports on all instruments remanufactured and/or calibrated in-house. Complete "as-found" and "as-left NIST Traceable Calibration Reports on most instruments calibrated on-site for instruments repaired or inspected for accuracy verification. Maintenance of all technical reports in a central database to provide historical reports. Annual Service Agreements to inspect and maintain instruments. Consultative Approach, we can often see potential future problems and can offer solutions to avoid costly downtime. We can provide technical training for your staff. New and Remanufactured instrument installation assistance and startup. Site Survey for wireless instrumentation packages. Instrument certification to EPA guidelines. We have been recognized by our customers for dependability, quality, integrity, and commitment to partnerships resulting in strong repeat and referral business. Call TECO today at: (504) 838-3956.